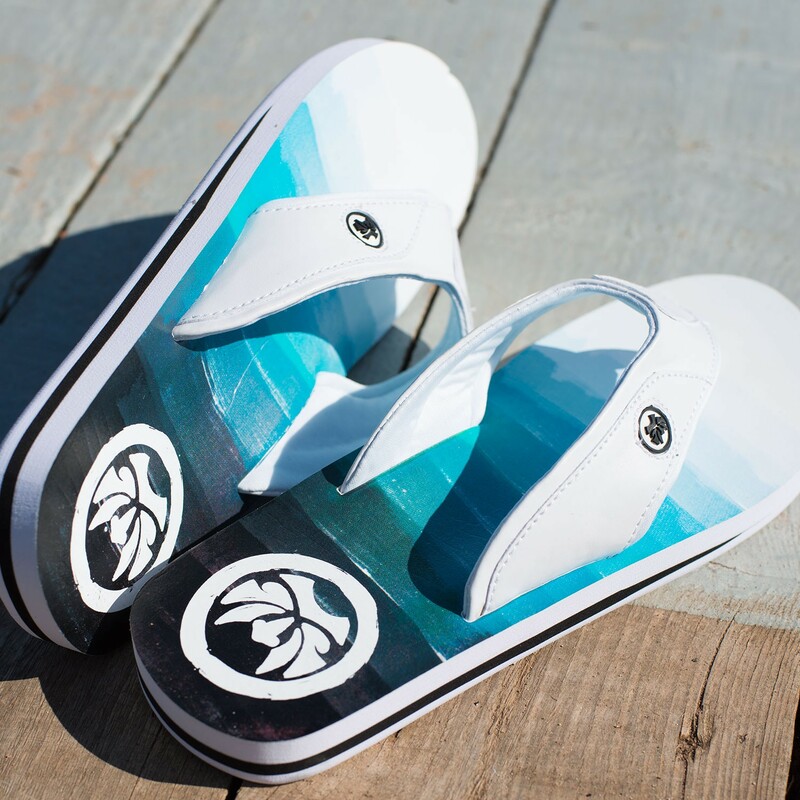 The mens Mirage flip flops feature an all-over blue and white gradient brush stroke print on the sole which provides supreme comfort and protection. The rubber sole cushions impact, moulds to the contours of the sole and provides plenty of grip when out exploring the beach this Summer. Featuring the Urban Beach tribal face logo on the sole and strap, the thick white supportive strap eliminates any skin abrasion sometimes caused by thinner straps.